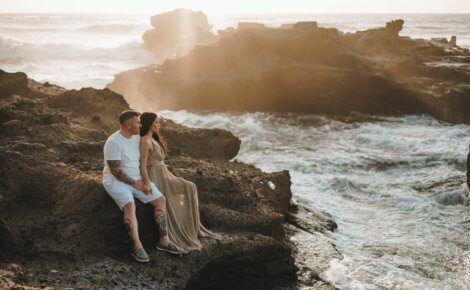 Have you ever been in a situation where you thought, “I wish I could capture this moment” or “We could have an incredible photoshoot right here!” With Localgrapher, you can give the gift of capturing those moments from anywhere in the world. Our Gift Cards for Special Occasions allow you to give an original and customizable gift that your loved ones can keep forever. With photographers located all around the world, the gift card can be used for any scenario whether the gift recipient is traveling on a holiday or to help find a local photographer for a special day. Mothers love to capture their favorite memories. A photoshoot for mom can be the best way to show her that you care and that you know what is truly important to her. Do you have a special friend that deserves a special birthday gift? In today’s age of social media, what is better than a customized photoshoot anywhere in the world! Relieve some of that stress by helping with the one thing that the happy couple will be able to look at for years to come. Couples travel all around the globe to relax and celebrate on their honeymoon. With photographers in over 600 destinations worldwide, allow them to keep the memories of this special time. When anniversaries come around, people look to reflect and recapture the love from their big day. One of the best ways to do this is through photos. Before you know it, a baby will be brought into the world and what better way to remember this exciting time than with a pregnancy photoshoot for the mommy-to-be. Every new parent sees their baby as their center of the universe. They enjoy even the tiniest smile and each day is filled with wonderful moments and breathtaking memories. Has your partner ever wished for a unique gift that perfectly captures your relationship? We can’t think of a better present than the gift of love and memories. Don’t see a gift card to fit the special occasion? Feel like creating your own special mix of circumstances or want to present the gift card to more people?